​Zinedine Zidane has hailed the 'incredible' continued form of Cristiano Ronaldo after the Portuguese forward scored four goals in a ​6-3 win over Girona on Sunday night. 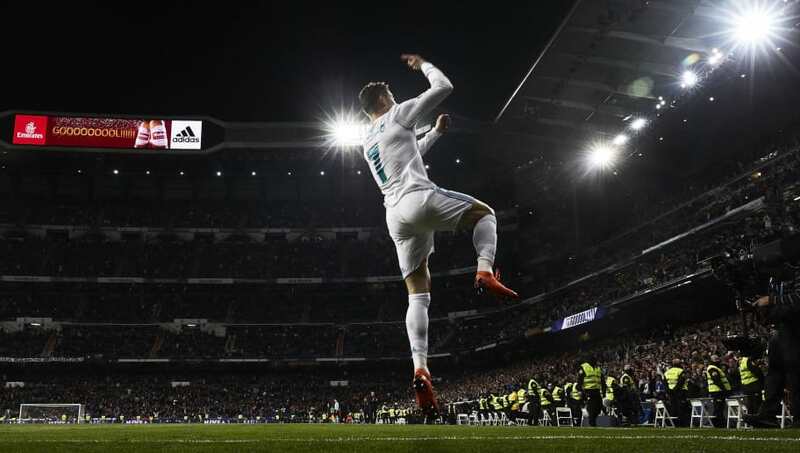 After a slow start to the season, Ronaldo has now scored 21 goals in his last 11 games in all competitions, putting him behind only Lionel Messi in La Liga's scoring charts. ​Speaking after the game, the Frenchman said: "Ronaldo is very important to us, he transmits an energy across the whole group. He knows himself very well and he knows when he has to stop a bit so that, when the end of the season arrives, he hits top form. "He is tremendous. In training he is incredible. For example, if there is a penalty, he takes it with maximum concentration. And that is only training. It is incredible. But I also want to highlight his colleagues, who help him a lot. We scored some spectacular goals that came from the whole team." Zidane also hailed his side's renewed confidence since returning from the league's winter break, which has seen them solidify their top three spot in La Liga and cruise past Paris Saint-Germain into the Champions League quarter finals. "We have regained confidence," he said, "and that has been evident in our home games. We have scored many goals in four or five games at the Bernabeu, which we didn't do at the start of the season. "And then there is Cristiano. When Cristiano is fine, the team is fine. And then it's important that the team doesn't take its foot off the pedal. We have to improve things (defensively). I'm not happy with the three goals conceded and that has to be improved, we have to work on it."